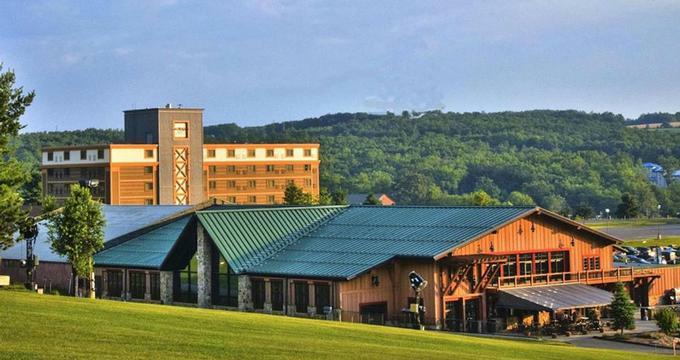 Tucked away in the heart of the Western Maryland mountains, Wisp Resort Hotel & Conference Center is a family-friendly, four-season ski, golf, and recreational mountain resort. Set on 172 acres of pristine ski terrain on the slopes of Marsh Mountain, the Wisp Resort provides a winter wonderland for snow-lovers, as well as other year-round adventures and activities, comfortable accommodations, casual dining, excellent shopping, and modern facilities. 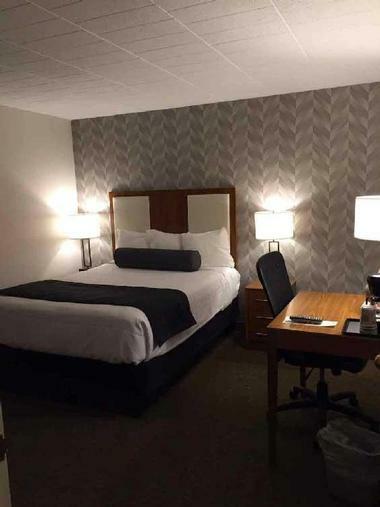 Located next to Deep Creek Lake in the town of McHenry in Garret County, the Wisp Resort Hotel & Conference Center also offers a heated indoor pool and Jacuzzi, 24-hour fitness center, a championship golf course, and top-notch conference and function facilities. Located on a slope, the hotel offers easy ski in/ski out convenience and a range of 34 ski slopes for all levels of skier and snowboarder. 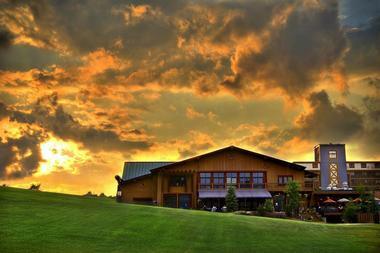 The Wisp Resort Hotel features comfortable accommodations in the form of 102 deluxe suites and 67 standard guest rooms. All rooms are equipped with modern amenities, including refrigerators, in-room coffee makers, iron/ironing boards, hair dryers, individual climate control, direct dial telephones, flat-screen televisions with cable channels and wireless high-speed Internet. During ski season, each room has a conveniently located equipment locker for storing skis and other equipment. Located in the Lodge section of the Resort, Lodge Queen Efficiency Guest Suites overlook the ski slopes or the hotel courtyard and feature queen-size beds with comfortable linens, and private en-suite bathrooms with glass-enclosed showers and soaking bathtubs, plush towels and deluxe bath products. Spacious sitting areas have queen-size pull-out sleeper sofas, 32” flat screen televisions with cable channels, mini-refrigerators, a kitchenette with microwave, sink, coffee maker and table with seating for four. Complimentary wireless Internet is available throughout. Lodge Queen Deluxe Suites are also located in the Lodge section of the resort with views of the ski slopes or courtyard and feature two queen-size beds with comfortable linens, and private en-suite bathrooms with glass-enclosed showers and soaking bathtubs, plush towels and deluxe bath products. Modern amenities include refrigerators, in-room coffee makers, iron/ironing boards, hair dryers, individual climate control, direct dial telephones, 32” flat screen televisions with cable channels and complimentary high-speed wireless Internet. Located in the Tower section of the resort, Queen Suites enjoy separate bedrooms, sitting areas, private bathrooms and lovely views of the ski slopes, the golf course or the sprawling resort. Bedrooms are furnished with queen-size beds and 32” flat screen televisions with cable channels and have private en-suite bathrooms with glass-enclosed showers and soaking bathtubs, plush towels and deluxe bath products. Spacious sitting areas have queen-size wall beds, romantic love seats, 32” flat screen televisions with cable channels and complimentary high-speed wireless Internet. Other modern amenities include refrigerators, in-room coffee makers, iron/ironing boards, hair dryers, direct dial telephones, and individual climate control. Double Suites are also located in the Tower section of the resort and feature separate bedrooms, sitting areas, private bathrooms and lovely views of the ski slopes, the golf course or the sprawling resort. Bedrooms are furnished with two double beds and 32” flat screen televisions with cable channels and have private en-suite bathrooms with glass-enclosed showers and soaking bathtubs, plush towels and deluxe bath products. Spacious sitting areas have queen-size wall beds, romantic love seats, 32” flat screen televisions with cable channels and complimentary high-speed wireless Internet. Other modern amenities include refrigerators, in-room coffee makers, iron/ironing boards, hair dryers, direct dial telephones, and individual climate control. Newly renovated two-room King Suites feature bedrooms with king-size beds with comfortable linens, and private en-suite bathrooms with glass-enclosed showers and soaking bathtubs, plush towels and deluxe bath products. Spacious sitting areas have queen-size pull-out sleeper sofas, work desks and ergonomic chairs, armoires, 32” flat screen televisions with cable channels, mini-refrigerators, a kitchenette with microwave, sink, coffee maker and table with seating for four. Complimentary wireless Internet is available throughout. Located in the Tower section of the resort, King Luxury Suites offer extra levels of luxury and refinement with enjoy separate bedrooms, sitting areas, private bathrooms and lovely views of the ski slopes, the golf course or the sprawling resort. Bedrooms are furnished with California king-size beds with specialized pillow top mattresses and fine linens, 32” flat screen televisions with cable channels and private en-suite bathrooms with glass-enclosed showers and soaking bathtubs, plush towels and deluxe bath products. Spacious sitting areas have queen sleeper sofas, extra sofas and arm chairs, 42” flat screen televisions with cable channels and complimentary high-speed wireless Internet. Other modern amenities include refrigerators, in-room coffee makers, iron/ironing boards, hair dryers, direct dial telephones, and individual climate control. 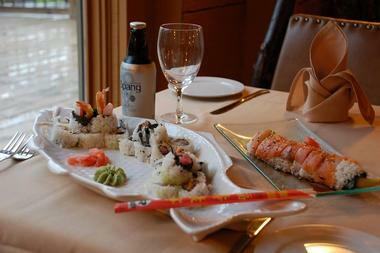 Wisp Resort Hotel & Conference Center offers a variety of dining options from casual coffee and pastries to family-friendly restaurants and buzzing bars. Located on the upper level of the Main Lodge, DC's Bar & Restaurant serves a range of New American cuisine such as burgers, steaks and ribs and offers a variety of specials throughout the week, including Mustache Monday (sandwiches and beer), Taco Tuesday (tacos and beer), Wine Down Wednesday (burgers and wine), Shark Attack Thursday (seafood and wine), and Finally Friday (bottomless appetizers). The Sundown Café is located in the Sundown Village and offers a casual, relaxed spot to grab a coffee, light meal or snack at any time of the day. Uniquely designed in the shape of round tent-like structure with plenty of windows to soak up the views, the Sundown Café serves a menu of fresh, locally sourced and made-to-order cuisine that’s fresh and healthy. Wispers Mountainside Bar can be found on the upper level of the main lodge and serves casual pub-style fare of chicken wings, burgers, tacos and more, alongside an extensive bar list of beers, wines, and cocktails. The Pumphouse Café can be found on the mountaintop and the best spot to grab a sandwich, specialty soup, sweet snacks and desserts and hot drinks before hitting the slopes. 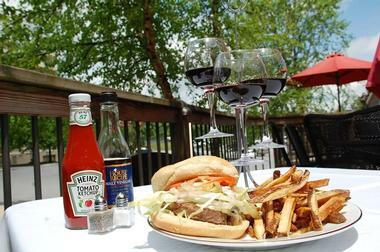 Tucked away in the Wisp Mountain Park, the Mountain Park Café serves a menu of favorites such as hot dogs, burgers, pizza, fries, sandwiches and other snacks, along with a variety of alcoholic and non-alcoholic drinks. The Wisp Resort Hotel & Conference Center enjoys a range of first class facilities, including an on-site health club with a heated indoor swimming pool, hot tub and 24-hour fitness center with a variety of cardio machines such as treadmills, stationary bikes, elliptical machines and nine fitness stations. Other facilities include a range of restaurants, cafés, and bars, an indoor games room with more than 10 different games and activities for all ages. The Wisp Resort is also home to the Wisp Outdoors Adventure Park, which features a variety of family-friendly activities including the famous and popular Mountain Coaster, kayaking and paddle boarding tours and rentals, downhill mountain biking, disc golf, laser games, pontoon boat tours, and scenic chairlift rides. 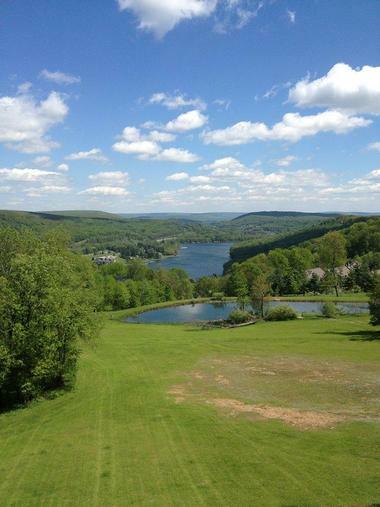 The Deep Creek Lake is home to the Greg Rouse Water Sports Center, which offers a variety of water-based activities such as swimming, water-skiing, knee-boarding, barefoot / snow skiing, wakeboarding, Slalom skiing, and tubing. Other summer activities in and around the resort include day camps, bonfires, skate parks, paintball, dune buggy rides and all-terrain go-carts. The Wisp Resort is home to two world-ranked championship golf courses and the Nordic Center, which offers a range of snow-based sports such as skiing, snowboarding, cross-country skiing, snow-tubing, snowmobiling, and snowshoeing. Group activities throughout the year range from zip lining tours, mini golf course building, boat building and scavenger hunts. The Wisp Resort Hotel & Conference Center has a range of conference and function facilities that cater for business meetings, conferences, corporate retreats and special occasions such as weddings, receptions, and anniversaries. Venues include the White Water Pavilion, a beautiful open-air pavilion, which boasts sweeping views of the surrounding mountains; and the Sundown Village, located on the outskirts of the golf course with stunning views and spectacular sunsets. Event services include set up and breakdown of the ceremony site, audiovisual equipment if required, and events planning team to organize details. The Wisp Resort also features over 40,000 square feet of versatile meeting space that can be configured to create different size meeting and event venues that can accommodate from 10 to 1000 guests with professional staff on hand to meet every need. 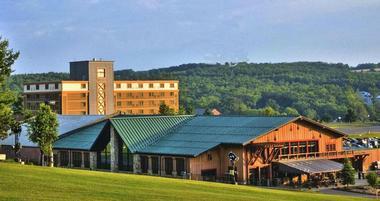 Group package for events includes comfortable accommodations, access to the resort’s first class amenities, including the health club with swimming pool and fitness center, lawn games and hiking trails, casual dining options and a variety of additional activities such as kayak and pontoon boat tours, scenic chairlift rides and the famous mountain coaster. The Wisp Resort Hotel & Conference Center offers a range of special kid’s programs and activities. Professional and highly trained instructors are on hand to take care of children and share their expertise across a range of activities and sports, including ski or snowboard learning experiences. The kid’s club offers full and half-day group programs, which allow children to socialize with their peers in a friendly, atmosphere and include ski or snowboard equipment, lift tickets, ski or snowboard equipment, helmets, and instruction.